Any questions on air duct repair or cleaning? Find out the answers here. According to the experts of our company in Valencia cleaning a dryer vent will have many benefits. The appliances will work better and they won't consume too much energy. Thus, you'll be saving money. Lint will be removed and you won't fear of overheated dryers, which may cause fire. It will reduce humidity. Does HVAC maintenance contribute to my good health? Air filter and HVAC unit cleaning are both important for healthy indoor environments. Though, it's important to clean air ducts, too. If the air ducts are dirty, the air transferred will carry along particles and dust and so the unit parts and filters will get dirty again and your health will be at risk. Why doesn't my new HVAC unit work properly? The efficiency of the HVAC unit depends also on the condition of the air ducts. If the ducts are dirty and damaged, the unit won't work well. It will blow dirty air and there won't be sufficient air to raise the expected temperatures. 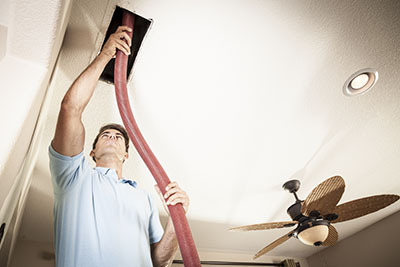 Air duct seal repair will solve the problem with air leakage. Why does air get contaminated in the ducts? 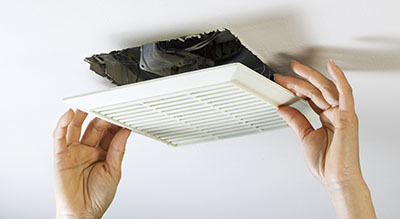 Air ducts are not cleaned often and are prone to dust and dirt from the outside environment. If they are damaged, dirt and insects will find their way in through the cracks, further contaminating the area. Microorganisms and mold will grow and, thus, according to Air Duct Cleaning Valencia the air delivered in your room will carry contaminants. What can I do to keep my air ducts clean for longer? 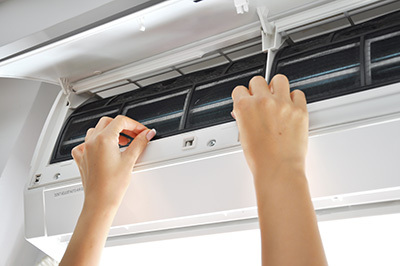 Regular HVAC maintenance is essential. The filters should be changed or cleaned as often as necessary. If checks reveal air duct leaks, holes or other issues, immediate repair is required. Otherwise, contaminants may get inside and pile up, and in this case the HVAC system will start circulating them around the house. Once your air ducts have been thoroughly cleaned, you should not need the service again for from around 3 to 7 years. It depends on how much dust and debris is trapped during normal operation, and how often you change the filters. As a general rule, in a typical suburban home without pets, you should change your filters every 3 months. If you have a dog or cat, reduce the time to every 2 months.